This was the Double Smoked Bacon with two eggs, real Hollandaise, Benedict style. For the filling you have a choice of double smoked bacon, hand carved honey ham or portobello mushroom. Of course I would go with bacon all the way. 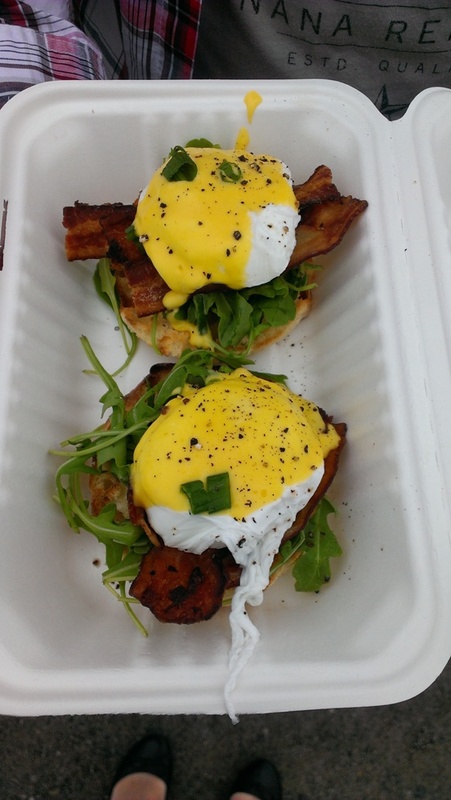 Then you can choose between having one egg or two, real Hollandaise or aged white cheddar and then you choose how you would like it to be served (Benedict style, in an English muffin or on their truffle-lemon hashbrowns). Gluten free bread is also available for an additional cost. 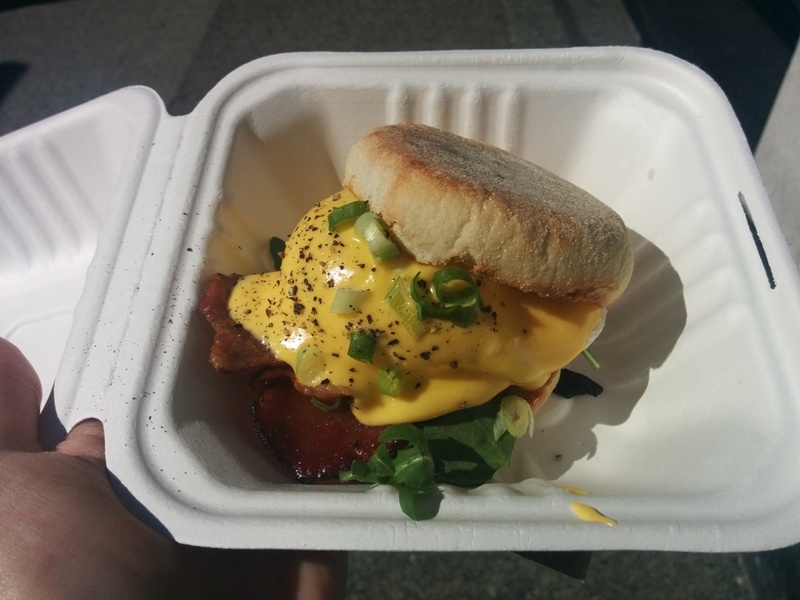 This was the Double Smoked Bacon with one egg , real Hollandaise in an English muffin. They warn you that you should press down on the sandwich first to pop the egg so that it doesn’t explode on you. The eggs are perfectly poached and boy is it messy to eat! But totally worth it!!! It’s hard to go wrong with eggs and bacon! You can’t have one egg Benedict style but you can just remove the top piece of English muffin and it’s almost the same thing? In addition to their two food trucks (one on Burrard and Pender and one at Stadium skytrain station), they also have a brick and mortar location as well. Read my review here.